– Teach the same grammar – present, present irregulars, preterite, preterite irregulars, imperfect, …..
– Have images – The 1960 has black and white illustrations and the 2010 has many colored photos. – The 1960 textbook contains 200+ pages while the 2010 textbook has 500+ pages. – The 1960 has some testing/practice material while the 2010 textbook has much online grammar practice. – The 1960 textbook has a story line of a family with a father who travels to Latin America, however, the 2010 does not have a storyline. 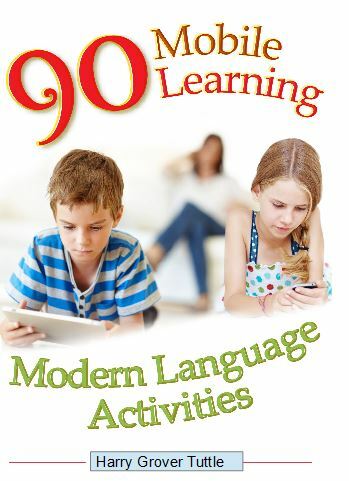 – The 1960 textbook teaches practical vocabulary essential to daily living and traveling while the 2010 teaches specialized vocabulary such as words to describe art in a museum. – The 1960 textbook follows the grammar translation methodology while the 2010 follows the grammar use methodology. The 2010 textbook, once all the colored photos are removed, is essential the same as the 1960 textbook. Do modern language teacher still want to focus primarily on grammar instead of communication? How has the textbook, the staple of most classes, changed over the last 50 years? – Does it scaffold information to make it easier for students to learn? 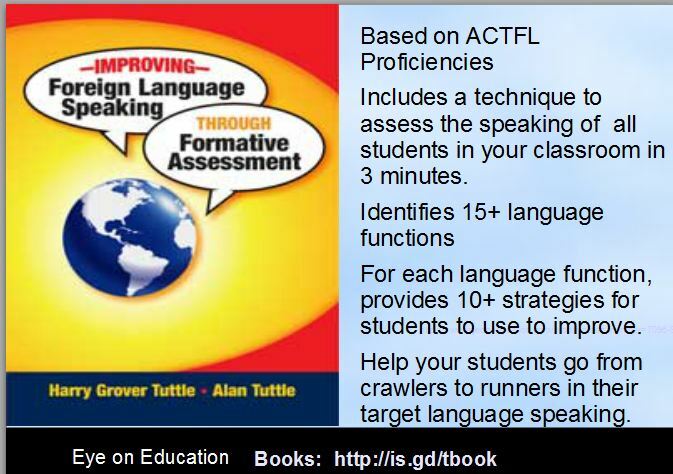 – Does it include strategies to help the students better learn the material? – Does it organize information in a way to help students see similarities and differences? – Does it build in self tests so students can measure their progress in a formative assessment manner? Does it provide formative feedback? – Has it gone to the “less is better” with more concentration on critical learning or has it gone to “the bigger is better” way of thinking? – Has it incorporated spontaneous speaking or is the speaking still based on teaching grammar? – Is the vocabulary being taught include verbs and adjectives about the topic instead of just nouns? Can student talk in depth about a topic? Think of creating your own virtual textbook that truly matches the state goals and your district’s goals. Consider using QR codes to create your own textbook.